The Committee to Save Cooper Union (CSCU), the Board of Trustees of the Cooper Union, and New York Attorney General Eric T. Schneiderman signed a consent decree on September 2nd to manage the school’s governance and finances. The consent decree lets the Board avoid admitting wrongdoing, while outlining changes the school’s leadership must make to return Cooper Union to a sustainable, no-tuition model. This move is a critical step towards the resolution of a 2014 lawsuit brought by the New York Attorney General’s office and CSCU against the board alleged that, among other transgressions, the mismanagement of the school’s $375 million endowment violated Cooper Union’s charter. The consent decree establishes a framework in which all stakeholders can enact plans for better governance, responsible fiscal management, and chart a plan for the school to return to its merit-based, tuition-free model. The plan is still awaiting approval by the court, but the full list of stipulations is here. In the school’s charter, founder Peter Cooper mandated that the Cooper Union be free and open to all. The entering class of 2014 was required to pay tuition, the first class to do so since the early 1900s. The school’s financial troubles are exemplified in the construction and financing of 41 Cooper Square. 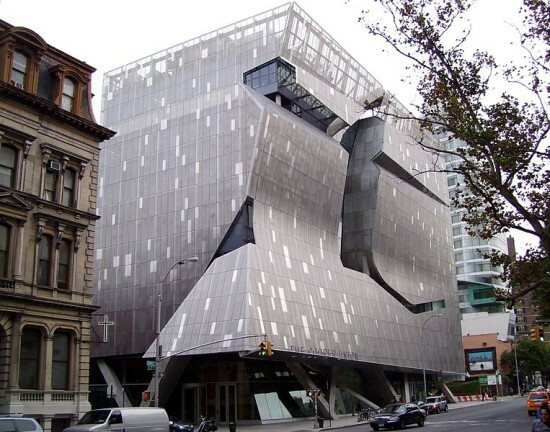 Designed by Thom Mayne of Morphosis, the building was completed in 2009 at a cost of $166 million. The Cooper Union went into debt to capitalize the project, borrowing $175 million against the land it owns underneath the Chrysler Building. The school lost an additional $35 million after the collapse of Lehman Bros. in 2008, leaving the school in near financial ruin. Students, alumni, faculty, and staff hope that the agreement reached last week will put Cooper Union on a path back to financial solvency.